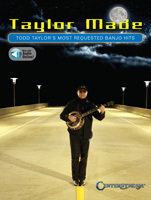 10 songs from the world�s fastest banjo player featuring Todd�s well-known and requested originals are included in this instrumental songbook: Back Home in Carolina - Banjo Blues - Six Guns - The Race is On - Waterfall - Cork Swamp Blues - and more. Online access to audio tracks of the songs in the book is provided. 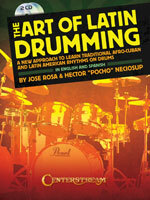 This bilingual book presents a new systematic approach to playing Latin American rhythms. It�ll help you develop your coordination and independence, and play superimposed rhythms. Designed for drummers who are eager to take their playing to the next level, the book is divided into 16-week lessons � making it perfect for use as a semester course for high school or college. Loaded with practical exercises, plus two CDs packed with patterns and play-alongs � 144 tracks in all! One of Bill Monroe's Bluegrass Boys in the 1960s, Tony Ellis is among the most renowned banjo players around. 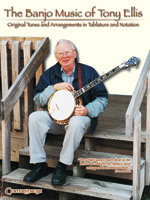 This superb book assembles songs from four highly acclaimed CDs � Dixie Banner, Farewell My Home, Quaker Girl and Sounds like Bluegrass to Me � capturing his unique two- and three-finger playing techniques in the bluegrass style in standard notation and tab. 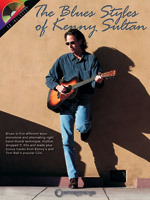 In this book/CD pack, axe-master Kenny Sultan teaches guitarists: blues in five different keys; monotone and alternating right-hand thumb technique; rhythm playing; dropped D tuning; fills; leads and more. The accompanying CD includes demos of the exercises, as well as bonus tracks from Kenny's and Tom Ball's popular CDs. 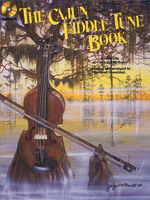 This collection of tunes is a great introduction to the Cajun tradition. It is impossible to adequately capture the spicy flavor of Cajun music in standard music notation, therefore, specific notes and bowings are suggested. The spirit of the music is quite infectious, and quickly you will find your toes tappin', your fingers flyin', and your bow dancing!